There is a suggestion floating around the internet on places like Facebook, Twitter, etc. 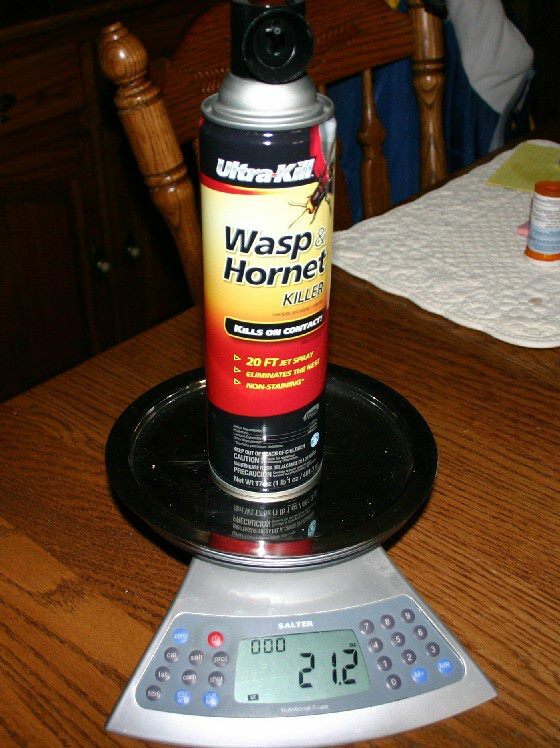 The suggestion is to get yourself a big can of wasp & hornet spray (a pesticide) for protection – not from bug, but from criminals. [Wasp spray] can shoot up to twenty feet away and is a lot more accurate [than pepper spray], while with the pepper spray, they have to get too close to you and could overpower you. The wasp spray temporarily blinds an attacker until they get to the hospital for an antidote. [A church secretary] keeps a can on her desk in the office and it doesn’t attract attention from people like a can of pepper spray would. She also keeps one nearby at home for home protection. Having an inexpensive form of self-defense sounds all fine and dandy, especially if you are the type who either cannot or won’t own a firearm. 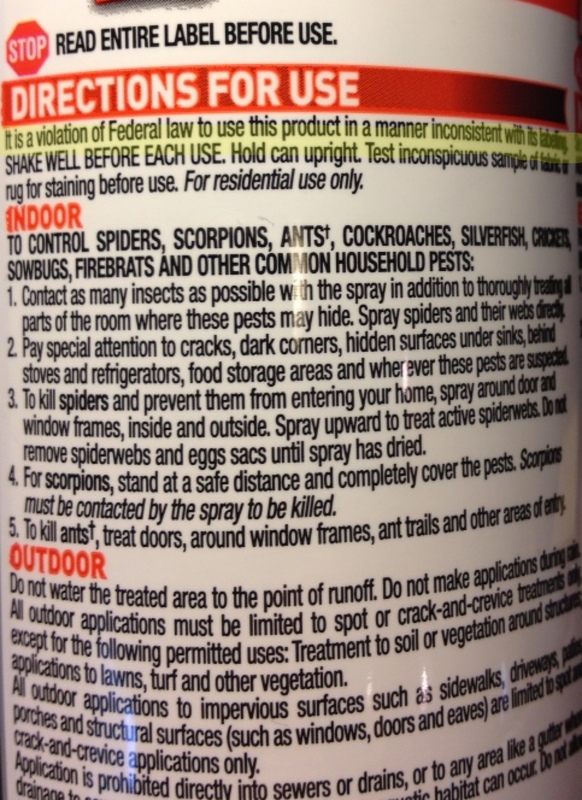 The only problem with using a can of bug spray is that it would be illegal. Yes, illegal. Now, you may be asking yourself, “Why would I worry about using a can of bug spray on an attacker trying to harm me or take my life?” In a normal universe, it would seem perfectly acceptable to use anything at your disposal to defend your life, correct? Well, we don’t live in a world ruled by common sense, but by lawyers. If you were casually walking through your house one day, and a burglar broke in and chased you through the garage, and you picked up the first thing handy, a can of bug spray, and shot him in the face, you might be OK. On the other hand, if you have a can sitting on your desk, or beside your bed, or in your purse, then you could get in real trouble. So, if you are ever forced to use your bug spray on an attacker, bear this in mind: a good defense attorney will have your skin for the premeditated illegal use of a potentially deadly substance. If your attacker is harmed in any way, don’t think for a moment that a sleazeball lawyer won’t take advantage of you “violating Federal law.” Your attacker may even get off without jail time, all because you hurt his feelings with anything but a double-barrel shotgun. When the law is all there is, legalists will seize any opportunity. There will always be someone willing to twist the law to his (or his client’s) own advantage. Paul told Timothy, “we know that the law [is] good, if a man use it lawfully” (1 Timothy 1:8). Unfortunately, in this day and age, there are those who don’t always use the law for good, but for gain. Therefore, be careful. My advice…get a Glock or shotgun.